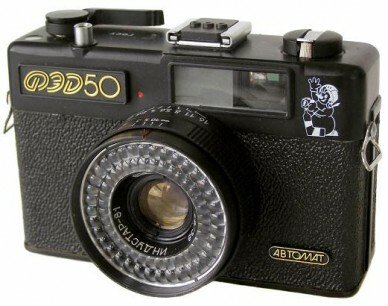 FED-50 is a viewfinder camera with manual override. 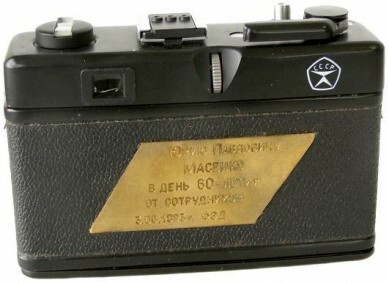 The FED-50 camera is finished all in black with gold lettering. Focusing is by distance scale on the lens or symbols in the viewfinder. 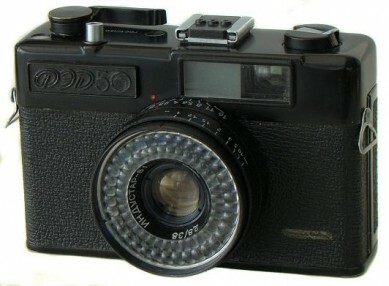 Shutter speeds are visible in the viewfinder as is a parallax frame for close-ups. The back is hinged. 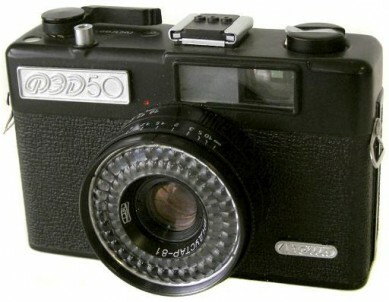 FED-50 camera has a soft black vinyl zippered case . Lens: Industar-81 2.8/38.Shutter: 1/30s-1/650s (auto mode). 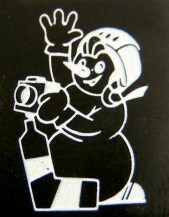 Original price (in year 1986) 90 roubles. Existing also uncommon commemorative version "FED-70 years". Another interesting version of particular camera. 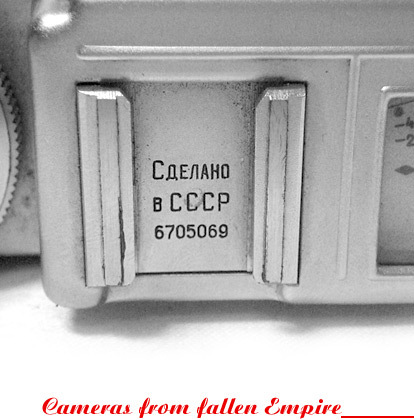 Although the big majority of Fed-50 cameras come with black nameplate and gold-coloured markings, very few cameras can be found with totally white nameplate indeed (see camera #122212 opposite). Happened to see a variation with white nameplate and black markings (#386250, A.Zilbert coll.). One more version of the particular camera. Totally black nameplate. No otherwise different. Very interesting donative sample of particular camera. My camera #333405 has "IZVESTYE SNOWMAN" silscreened on the upper right side of the frontplate and the donative metal plaque on the rear door (see pictures below). "To Yuriy Pavlovic Masenko on his 60th anniversary by collegues from FED".